Aasta Hansteen is a floating spar FPSO platform and is the first of its kind in the Norwegian Continental Shelf. It weighs over 70 000 tons and is 340 meters tall, which is taller than the Eiffel tower in Paris. The spar gas platform consists of an integrated deck with a processing facility, living quarters and flare. All designed by Technip-USA. 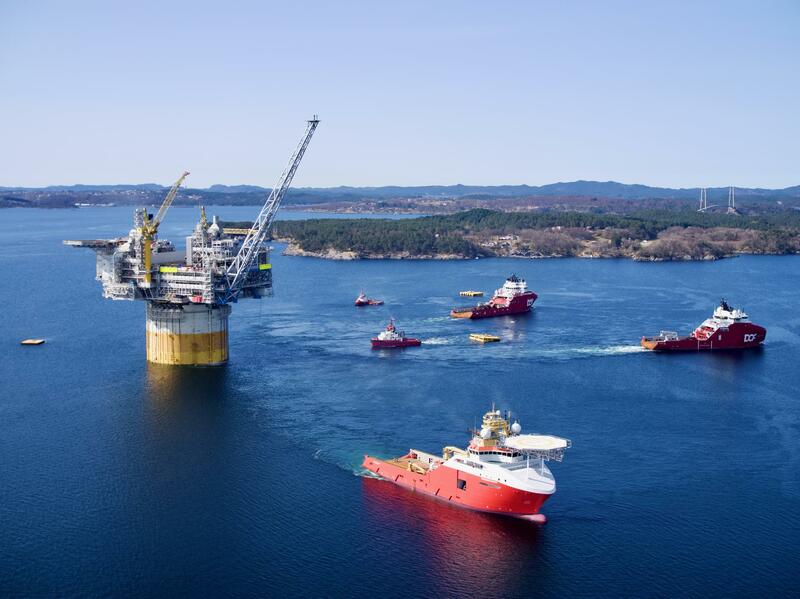 The gas will be transported through the 482-kilometre-long Polarled pipeline that connects the Aasta Hansteen field with the processing facility in Nyhamna, Møre og Romsdal. While condensate is stored on the platform, which has a storage capacity of 25 000 cubic meter. Afterwards it will be loaded onto shuttle tankers and transported to shore. For this project, Oglaend System recommended using our MultiGrid® installation concept, where starter brackets are installed in a grid to provide flexibility during installation and with future extensions. Mekano® support systems, OE cable ladders, SPB and SPBE cable trays were installed on this grid. Our flexible system contributed to reducing installation time and costs.